Yield: Makes 8 one cup servings. 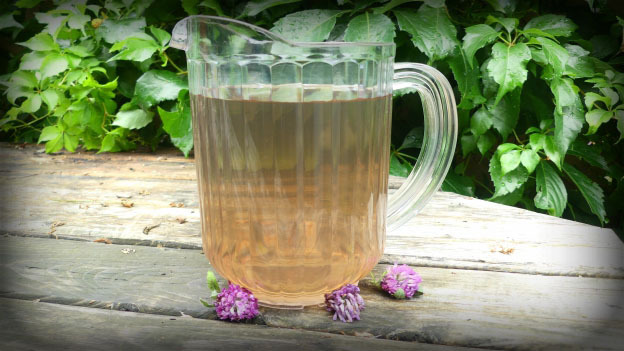 Harvest and store red clover flowers so that you can enjoy this tasty, healthy ice tea any time of the year. Strain,add sweetener of your choice and the fresh squeezed lemon juice. (The amount of sweetener can be reduced or increased based on your taste buds.) Place in ridge to chill then enjoy! Makes 8 one cup servings.